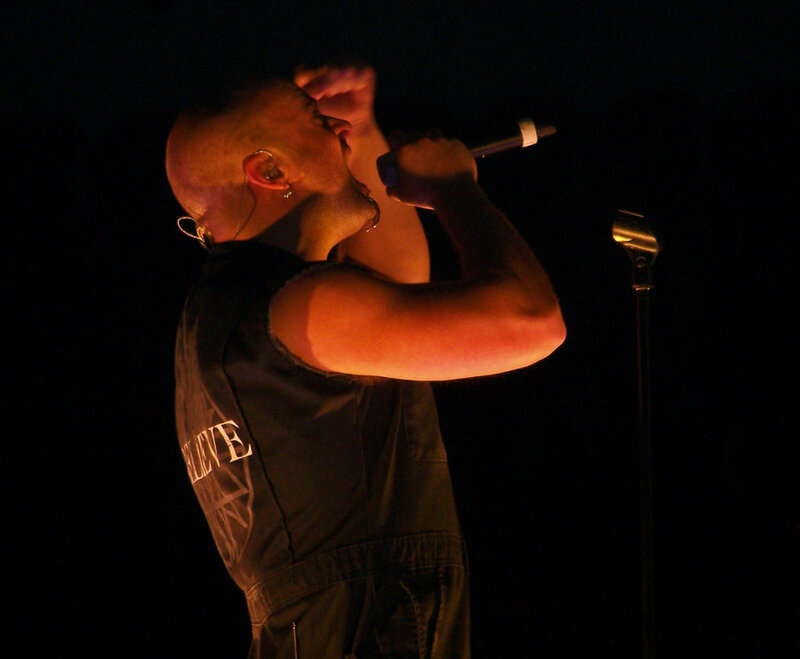 So today I put the spotlight on David Draiman lead vocalist from Disturbed. Last year I discovered a discounted compilation of music videos on dvd at a music store. I watched it and while going through about 30 videos I went back to Disturbed’s Stricken video, I fell in love with the song and David’s unique vocals. Disturbed is probably the “heaviest” band I listen to and I’m very proud to call myself a Disturbed fan. As a rock music fan I like structured music/songs with rhythm, Disturbed combine heavy guitar riffs and drums in a way that is still pleasing to the ears of a music lover, that is not necessarily a metal music lover. After I started listening to a few samples of their songs on the web, I decided to purchase The Lost Children which is my favourite album of theirs thus far. After The Lost Children I purchased Asylum and their M.O.L dvd. There is a live performance of “Fear” on the dvd and it shows Draiman jumping up and down on stage in sync with the audience which makes me want to join in and be part of the experience. Disturbed has been on hiatus since July of 2011. Hopefully we will still enjoy some more of their work. I love David’s honesty and how he will stand up for what he believes in no matter what. He has a great love for animals which I share. He regularly interacts with his fans on Twitter which I admire, because Twitter is a great communication tool if you use it correctly and can generate even more interest in the band and Draiman’s other projects. I’m looking forward to hearing what this new project is all about. I have to praise Disturbed’s music videos they have released over the years, all of them are quite creative and creepy without making the viewer turn away from the screen in disgust. The viewer can still appreciate the artistry that went into creating the videos even if it contains dark content/themes. The way David distorts his voice differently in almost every song never ceases to surprise and amaze me. In my opinion Disturbed is probably one of the most unique bands out there. I will end off this post with a picture of “The Guy”, Disturbed’s mascot. 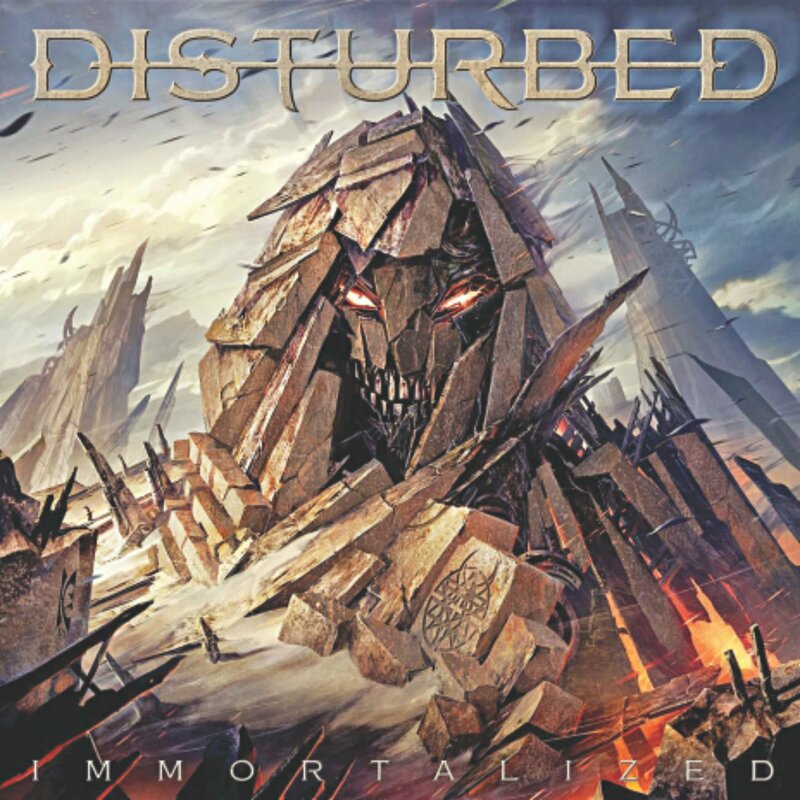 Cover art from Disturbed’s Indestructible Album.